Well, its not tie dye although that’s what most people assume when they see it! 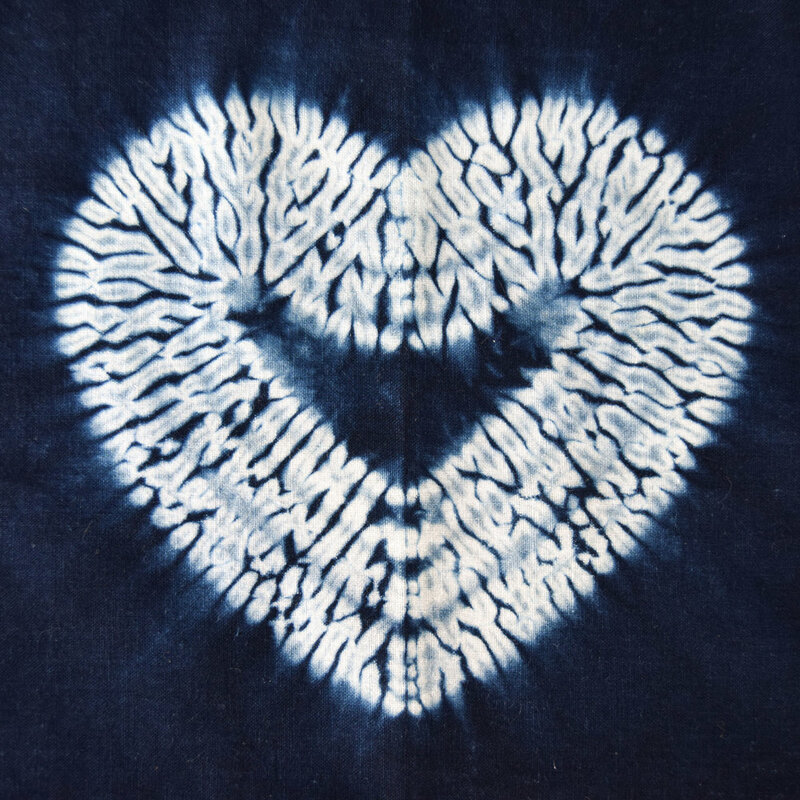 Shibori is the Japanese art of shaped resist dyeing textiles. Its derived from the Japanese verb "shiboru", meaning to wring or to squeeze; something a confirmed dyer is all too familiar with. 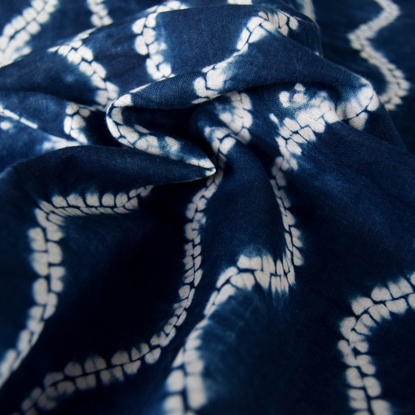 Shibori is comprised of hundreds of techniques and a rich history spanning centuries. The main classifications are stitching, binding, clamping and pole dyeing; each branch containing endless processes within it. Its a complex subject requiring years of study and practice. Many of the techniques require hours of patient stitching and pulling up of threads, each of which has to be tied off tightly to ensure a good result. 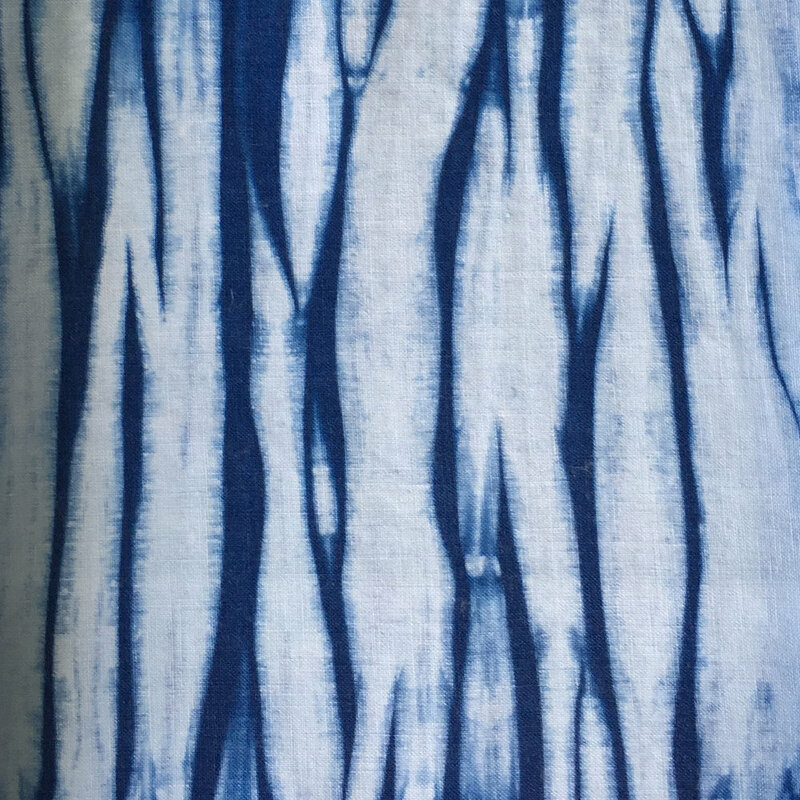 Further hours of mordanting and dyeing follow before the fabric is ready to be unpicked and its pattern revealed. It is a slow craft that richly rewards those that follow it with beautiful, complex patterns and stunning fabrics from which other objects can be made. We combine different learned disciplines together to construct new textiles and play with pattern. 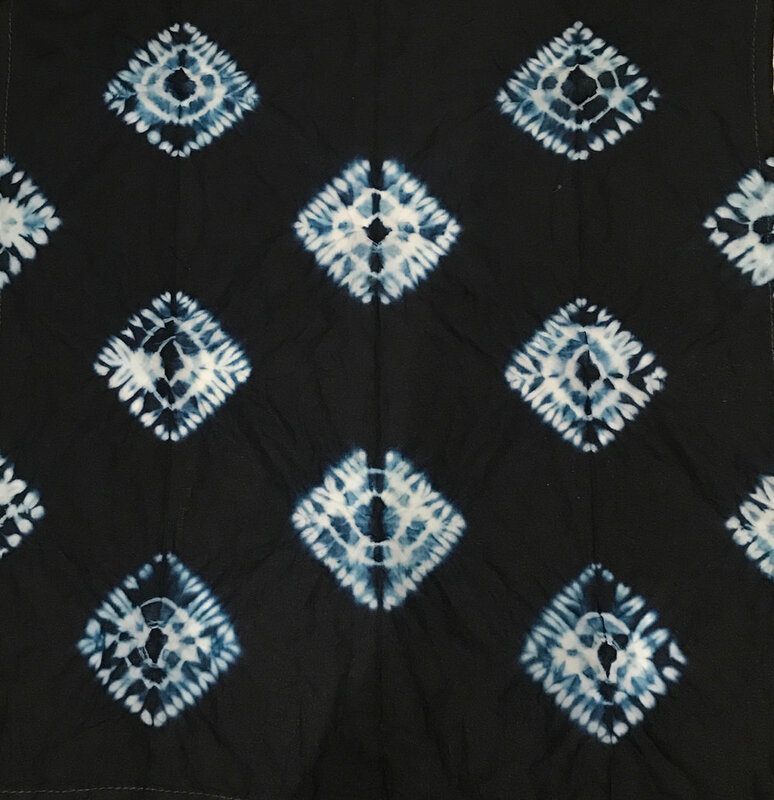 Traditional Japanese techniques are dissected and reassembled using equally traditional quilting techniques, transforming ancient designs into new forms. Layering natural dyes with these techniques introduces a further element of rich colour to the resulting textiles.